Figure 1:Precision FIB sectioning of a pipeline steel stress corrosion cracking (SCC) test specimen allows measurement of crack length and depth. Precision FIB sectioning of a pipeline steel stress corrosion crack (SCC) allows measurement of the crack's length and depth. 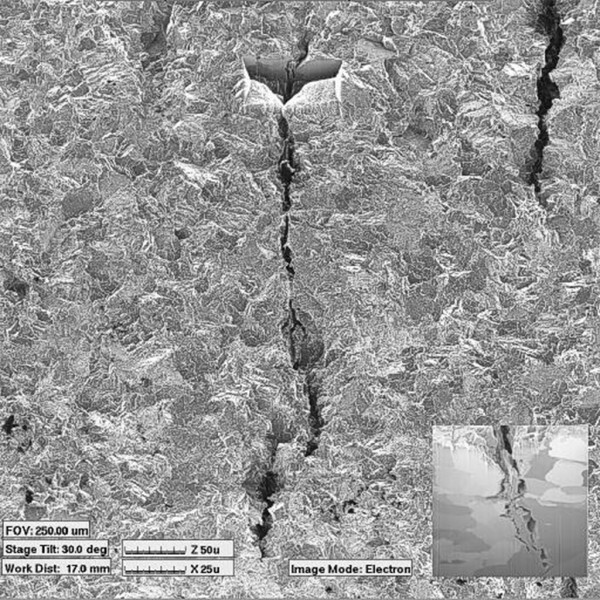 High magnification images of the FIBeamed crack surface in cross section (inset) allow aspect ratios to be measured periodically without disrupting neighboring cracks. The analyst can then continue on for further tests to discover the SCC solution. 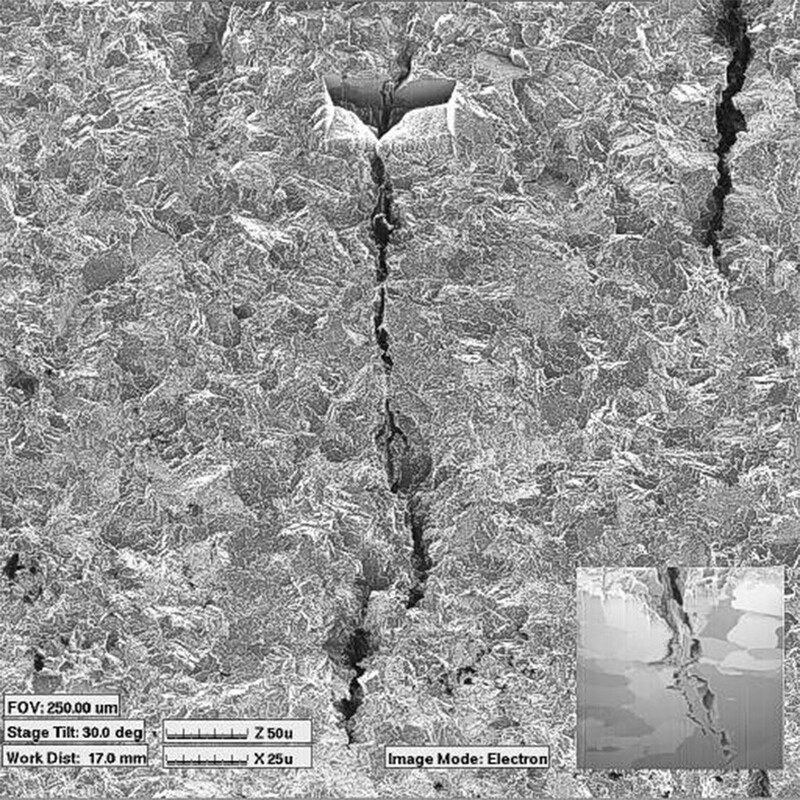 Due to the very small amount of material removed during each sectioning and imaging operation, and for a large number of cracks, this process can be repeated many times over the course of a corrosion test project to obtain excellent statistics from a single sample.